What is Grade 43 Chain Used For? Grade 43 chain is synonymous with Grade 40 chain, and often called out as High Test chain. It used to be the standard choice for tie down, but it has largely been replaced by Grade 70 Chain which is stronger and priced very competitively. 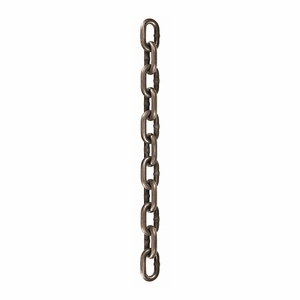 This chain is self-colored for general use, but we also offer it with a hot dip galvanized finish.